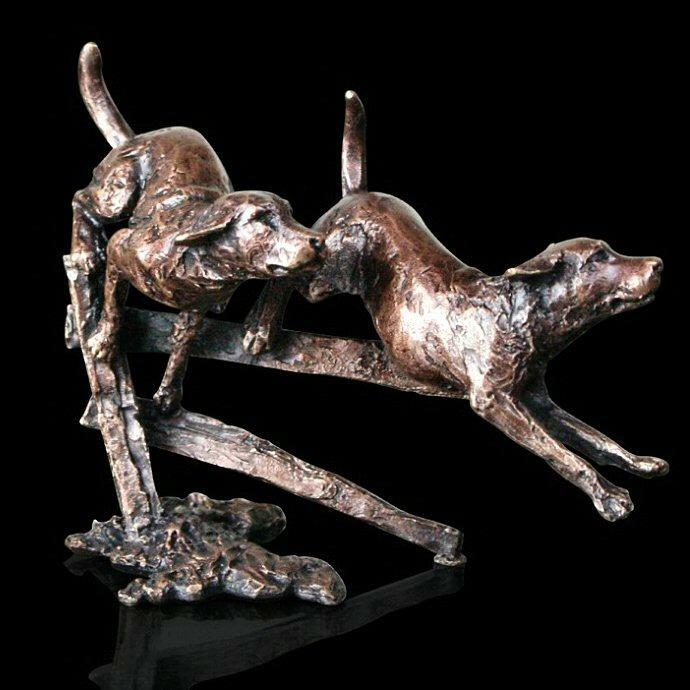 Two Labradors running - beautifully crafted in bronze from the Butler and Peach miniature sculpture collection. Originally bred as a working dog, Labradors make fine gun dogs but most are now kept as friendly, loyal and dependable family pets. A nicely observed composition that really brings out the exuberance of these energetic dogs. With beautiful detailing and a fine hand-finished patina this would be a worthy addition to your collection or equally a treasured gift for any admirer of these lovable dogs.